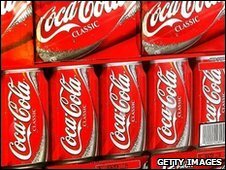 Coca-Cola has been asked to pay $47m (£31.2m) in compensation for alleged environmental damage caused at a bottling plant in southern India. The plant, one of its largest in India, was forced to close in 2005 after activists and residents protested. The company insists the charges against it are unfounded. But the state of Kerala's Communist-run government has accepted the findings of an investigation into the allegations about the Palakkad district plant. It says Coca-Cola must pay up for the damage it has allegedly caused. The company is accused of depleting the groundwater in the area, as well as damaging farmland and the local environment, by dumping waste between the years 1999 and 2004. But a statement by Coca-Cola's office in India disputes the findings, saying that they needed to be proved in the courts. It says that scientific investigations carried out by the government and other agencies have determined that the plant had not caused any environmental damage. The plant was shut five years ago after massive nationwide protests against the company.